Madness fans are generally quite familiar with the songs 'In The City' and 'Driving In My Car'. They are both classics in the cannon of songs featuring the band's trademark 'Nutty Sound.' 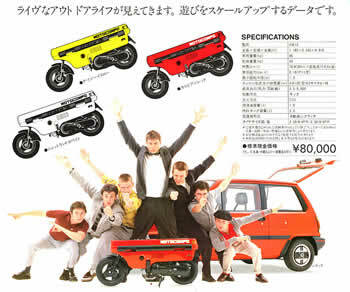 However, chances are that if you lived outside of Japan in the early 80's you might not have known that Madness appeared in a series of television advertisements for the Honda City, a small sub-compact car sold only in Asia. The band wrote and recorded an original jingle and also appeared in the TV ad, doing their famous 'nutty train' walk. The band apparently liked the jingle so much that they expanded it into a three minute song and released it as a b-side (B/W "Cardiac Arrest") that reached #14 in the UK charts. It was also included on Complete Madness, the band's best-selling greatest hits compilation from 1982. The track version of "In The City" replaced the repeated brand name "Honda Honda Honda..." with the more generic "doomba doomba doomba". 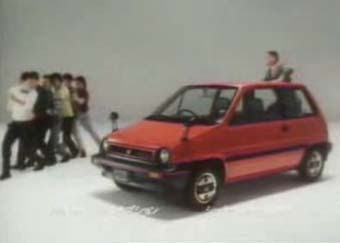 Later ads for the Honda City featured snippets of the song 'Driving In My Car' which was also a hit for the band. There was much back and forth between the promotion staff and Honda senior management, but finally, after multiple proposals, the executive in charge of bringing the car to market gave the marketers the green light and Madness were invited to Japan. According to Honda: 'The recording, photo sessions, and commercial filming were completed in rapid succession. In fact, production took only two-and-a-half days during the band’s four-day stay in Japan. With the completion of the scene featuring the Centipede Dance [Nutty Train] to the music of the now-famous “Honda, Honda, Honda” tune'. The ads had the intended effect and Japanese consumers fell in love with the band. As soon as the commercials began airing, the “Honda, Honda, Honda” melody and the 'nutty train' dance became a huge hit throughout Japan, popping up at school festivals and parties. As for the Honda, they had a hit on their hands as well. Below are videos of the band's ad's for Honda as well as the video's for 'In The City' and 'Driving In My Car'. The band have continued to serve as pitchmen, most notable in the early 90's for Sekonda wrist watches. More recently the band's lead singer Suggs has served as spokesperson for Birds Eye fish fingers. The ads are classic! Go Nutty Boys! Awesome Find Marco!!! I have played the last video/tune about 14 times in a row now. Wot? Is that Neville, Terry and Lynval from the Specials doing a cameo as the hitch-hikers to Coventry (3:29) in the vid for "Driving in My Car"? Yes indeed! That is the Fun Boy 3 bumming a ride in the Driving In My Car video. I've known about these commercials for years but the insite into what the brand was thinking is stellar. Always wondered why Madness? Why? Now I know. 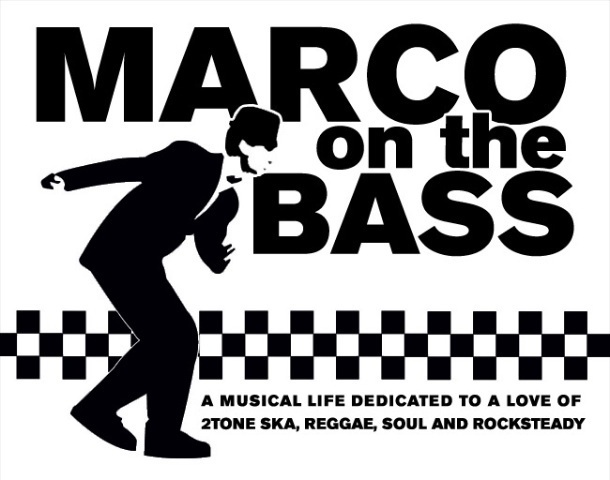 Thanks Marco. Madness did some more ads I believe, I remember a Colgate Blue Minty Gel ad, although I don't think it featured the band themselves but some kids imitating the 'nutty train' and als a Dutch carpet spoof comes to mind which aired intill recently!